The Inner Smile is a powerful relaxation and self-healing technique that uses the energy of love, happiness, kindness, and gentleness as a language to communicate with the internal organs of the body. The practice also aids the transformation of negative emotions into positive, virtuous energy. 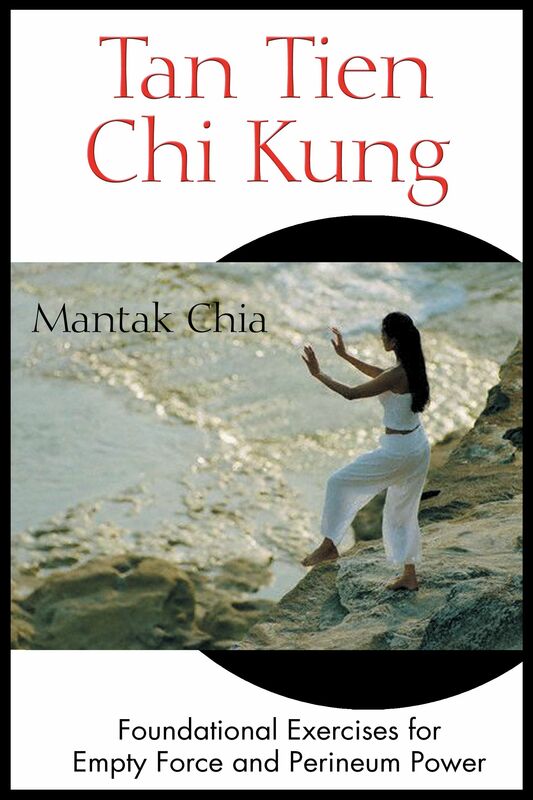 This transformation is a very powerful Chi Kung practice. A genuine smile transforms negative energy into loving energy that has the power to relax, balance, and heal. By learning to smile inwardly to the organs and glands, you will cause your whole body to feel loved and appreciated and to enjoy more Chi. The process of internal transformation in Tan Tien Chi Kung starts with the Inner Smile practice, in which we send a warm, loving Inner Smile down to the lower brain and lower abdominal area. It is the key practice for keeping Chi pressure in the lower Tan Tien and the whole body, and is the most effective practice for keeping all energy routes in the body open. Although the Inner Smile at first sight would appear to be an easy practice, it actually represents a great challenge. It holds in all its apparent simplicity a highly concentrated way to change our whole attitude toward life and toward ourselves. It is the key to shifting and transforming our inner disposition and attitude so that we open ourselves to the ability to “flow with the stream of life.” It helps us learn to not “push against the river” and use force on ourselves and others. It trains us to accept ourselves and others so that, as we raise our awareness and mindfulness, transformation can come from within and not from above or outside. The practice of the Inner Smile is not a shrewd trick or an easy device to forget or repress our pain. We need to recognize that we will invariably experience existential and other forms of pain as a natural part of the ups and downs of life. What the Inner Smile practice does is train us to look deeply into ourselves and to transform the pain into a source of self-transformation and empowerment. We become truly invulnerable not by ignoring pain but by becoming more vulnerable and in touch with ourselves. By so doing, we can be more sensitive to others and to the world. It is good to shed tears as we detoxify ourselves. In a patriarchal culture like ours, men are not supposed to shed tears because it shows their weakness. As we learn the Inner Smile, we open up to our deeper self and learn to process our pain. In this way we restore the energy flow so that we can laugh and smile again as we learn to embrace ourselves, others, and the world. The Inner Smile practice trains us to sense, feel, see, and hear deeply; it trains us to accept and embrace what is there so that our experience of life is opened up again. By smiling into our whole body and being, we affirm the intrinsic goodness of existence and our gratitude for being alive. The inner smile creates the ground for self-esteem, which is necessary to develop inner dignity and self-empowerment. The Inner Smile may be seen a first process of alchemical transformation on which all the others depend; it is the beginning of a new way of being. The practice teaches us to accept ourselves as we are, with a unique blend of good and negative energies. We need both of them in order to grow. Without the negative energies there would be no impulse for the transformation process and we could not raise our energy supply. The energy potential hidden in negative energies would remain repressed and untapped. 1. This exercise teaches us to smile to the mid-eyebrow, eyebrows, eyes, mouth, jaw, tongue, lips, cheeks, ears, shoulders, rib cage, and brain. We then let the observing mind (the upper brain) sink down into the lower Tan Tien. Practice this exercise until you become familiar and comfortable with it. Begin by smiling to the mid-eyebrow. Relax and let go of all mental, emotional, and physical tension. Smile to the eyebrows, and visualize them growing long to the sides. 2. Smile to the eyes. Relax the eyes and feel how nice and cool they are. Let the eyes draw back in their sockets and start to sink down to the chest and gradually down to the abdomen, the home of your feeling and awareness mind. 3. Relax the two broad muscles extending from the outer portions of the upper lips across the cheekbones. Lightly smile, feeling the muscles’ connection to the upper front of the ears. Gradually feel the ears growing long (up and down). 4. Open your mouth and relax your jaw, separating the upper and lower teeth. Feel the jaw relax. Once the jaw relaxes, the shoulders will relax and drop down. Continue to feel the jaw relax until you feel saliva start to come out. Relax down to the rib cage. Feel the rib cage drop down, softening all the joints, relaxing down to the lower Tan Tien. Let the tongue relax back in the mouth. Feel the tongue start to drop down into the throat. Visualize all the energies of the head and face sinking down into the chest and all the way down to the navel and lower Tan Tien. 5. Smile to the shoulders. Relax until you feel the shoulders drop and the rib cage relax. 6. Lightly close the lips, but keep the teeth slightly separated. Physically begin a childlike smile, with the corners of the mouth gently uplifted and the outer edges of the eyes softly crinkled up. Breathe through your nose. "...a joy to look at as well as read."